Nokia today announced the release of the Nokia Luna Bluetooth Headset. It’s brighter, poppier and NFC enabled. The Nokia Luna headset is a striking two-piece design:The base and the earpiece. Taking the earpiece out of the base automatically fires up the Bluetooth connection to your phone and answers incoming calls. Putting it back hangs up the call and powers down the Bluetooth connection. There are voice prompts to assist you with pairing, and also to tell you when the battery is low. So pairing is pretty simple. It’s even simpler if you’ve got one of our phones with NFC built in (Currently, the Nokia C7, Oro, 600, 603, 700, 701 and N9). In that case, you can just bump the two things together and the job’s done. The earpiece weighs a mere 5g, while the holder is 18.3g, supports Bluetooth specification 2.1 + EDR, Handsfree profile 1.5 and Headset Profile 1.1 advanced multipoint. The Nokia Luna can attach two different phones to the headset – for work and personal phones, for example. 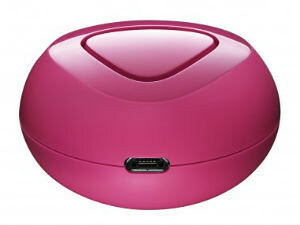 Battery life up to eight hours talktime or sixty days standby (providing you pop it back in the holder). 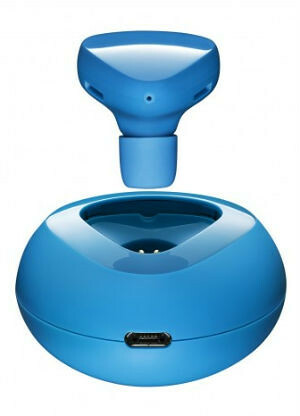 The Nokia Luna Bluetooth Headset will be available from Q4 2011 and should cost around €69 before any local taxes.